All raws on this page were scanned by me. These are not manga I plan on scanlating myself, but rather stuff I enjoy that I have not found raw copies of online. Feel free to redistribute and to use for scanlations. An asterisk by the volume number means there is a detailed summary in my summaries section. 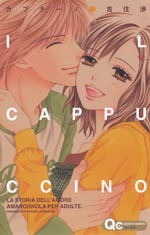 I love this series and the mangaka. Thanks very much for sharing the raws. You're welcome! I don't have vol. 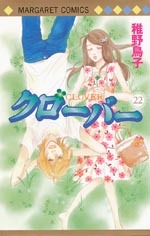 4 yet, but if I don't find it anywhere else online I'll probably buy it next time I go to the bookstore and scan it then. thanks a lot for the hard work . Hello! 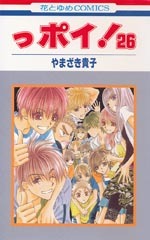 I'm one of three editors from Nyaabari, a group focused on scanning anything made by Kamatani Yuhki. We're looking for a RAW provider for her new series which is going to be serialized in Morning 2. I can see that you scanlate Saint Young Men, so….would it be too much trouble to ask if you could possibly provide RAWs for us? The series is going to be called Shonen Note and will be released on November 22. If you are able to provide us RAWs, please e-mail me with your response and any specifics. I'm sorry. 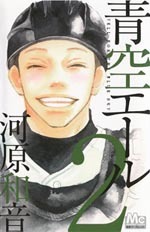 I do Saint Young Men from the tankobon, not the magazine. I used to buy a ton of manga mags, but it's just not something I can afford to do anymore, so I just buy tankobon or read someone else's scans. I hope you're able to find someone! Hello there, I love Aozora Yell and I wana thank you for the raws you have found. I have a request to ask you, would you please take on the project of Aozora Yell? Because the Which Scanlations that have done the earlier chapters became unactive(and I don't really know if they are doing it anymore…). 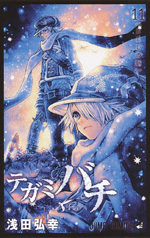 Maybe I will do summaries or just translations for it, though (rather than full scanlation). Again thank you very much for you kindness ;w;!! *I forgot you havent even decide to make summaries or translations = = sorry. I'm definitely thinking about it! Probably won't make a decision until the new year. 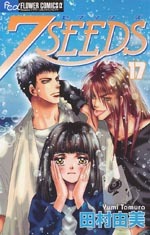 Thanks for the raw of 7 seeds 17^^ and of course thanks a lot for the summary it helps a lot!! Couldn't find a page to say this, so I'm usin this page ~ =w= MERRY X'MAS!!! As someone who can't download from download servers, I'm very thankful that you've provided download links from your own server. Thank you so much! I'm especially thankful that the series you're hosting are also among the series I am interested in. Like the 7 seeds! I already have the tanks physically, but I just love your translations for it. Thank you! You're welcome! :) I have plenty of bandwidth and space on my server, so there's really no reason for me to use Megaupload, etc. for this. Hello again. Just wondering if you can work on the translations for Sensei. It's been dropped for a long time and I love that Kawahare Kazune work. I can do the cleaning and editing so if you can provide the translation, it'd be great. Thanks! Yeah, I just checked Baka Updates and it looks like it has been abandoned and the groups that were working on it are inactive. Awesome! 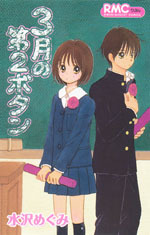 Although I did not find ヒメゴト ～十九歳の制服 raws, but thank you for the scanlation! Yeah, that's because I didn't scan it. I only post raws I scan myself here. I do have the first two volumes, though, and can upload them if you want. Hi!! I like your scans here. Do you have raw scans of IS(aeisu) manga? I have been finding Vol 16 and 17 amywhere but i didnt see it. I dont know if the scanlators team would finish updating the manga. These are very low quality raws that I found on the web long ago. We will use higher quality scans for the scanlation, but those two volumes haven't been scanned yet. may I ask you if there is any updates for IS Manga?? Unfortunately our raw provider has been going through a really rough time, so it has been hard to get in touch with her. 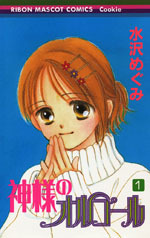 She promised to scan the rest of the chapters soon, though, so I hope we can get at least one more chapter posted before the end of the year! If ever you have the raws for Shibito no Koe please include it here. I'm glad you upload that manga. Thank you. More powers! Gambate Kudasai!